Part of the Daily Photo series of photos taken and curated by Jeni Reid especially for WOVEMBER. Rosemary Champion, better known online as The Accidental Smallholder and as part of the team who run the Scottish Smallholder and Growers Festival lives a few miles away from me in the county of Angus. 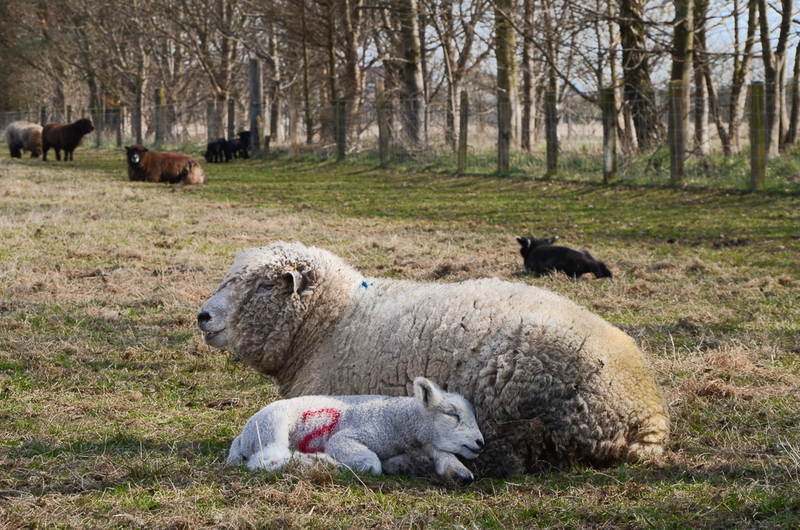 This spring I donned my waterproof trousers and spent a brilliant morning hanging out in a muddy field with her Ryeland flock, photographing the ewes and this years’ lambs.